In that spirit, today’s just going to be a mish-mash day where I talk about random teas that have had the privilege of joining my cabinet. Interestingly, both of today’s teas are ones that contain flowers. So let’s look at some flower tea. Our “Ying Shan Hong” cake is a blend of Wild Purple Black tea and Snow Chrysanthemums from Spring 2015. The taste is floral and sweet with a thick burgundy red tea soup that soothes the mouth and throat with a layer of tea and flower oils and tannins. I’ve never had a purple tea before, so I wasn’t quite sure what to expect. I figured it would taste similar to a black tea. The dry tea itself is mixed with dry chrysanthemum flowers and compressed into a dense little cake — the yellow petals of the dried flowers are peeking through the tea itself, giving the cake quite a festive look. I got this flower tea as part of the monthly swap that my Steepster friend and I have — I send her half of my White2Tea subscription box and she sends me half of her Yunnan Sourcing subscription box. It’s a nice system. I went with gong-fu brewing for this tea — about 6 g of leaf in my gaiwan, and a teapot of freshly boiled water. I gave the whole thing 5-6 steeps. I’ve had one or two teas before that tasted like chysanthemums, so I thought I was prepared for this tea. Oh, how wrong I was! The chrysanthemum flavour in this tea is pungent, and medicinal. The tea flavour itself is fairly weak, taking a back seat so that the chrysanthemum can drive. Overall, the tea feels quite thin and dry in my mouth, with a sensation of camphor and cedar being most prominent. The brewed tea was a deep reddish brown, like brandy. 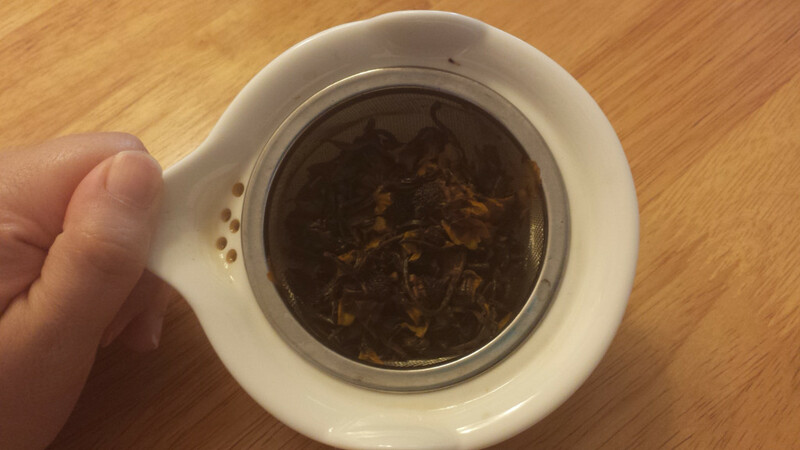 I will say that the spent leaf of this tea looks quite lovely — look at those yellow petals! I don’t consider this tea to be an everyday drinker, but it might be good with some honey when you’re sick. You can learn more about Ying Shan Hong tea with chrysanthemums here. I’ve had my fair share of jasmine green teas, but I’ve been running fairly low on them in my cupboard, so it was very kind of Teasenz to send me some for free for this review. The dry leaf of this flower tea is a mix of white and pale green strands, but since I couldn’t see any jasmine buds or flowers, I’m assuming that the two weren’t mixed together to create the blend. 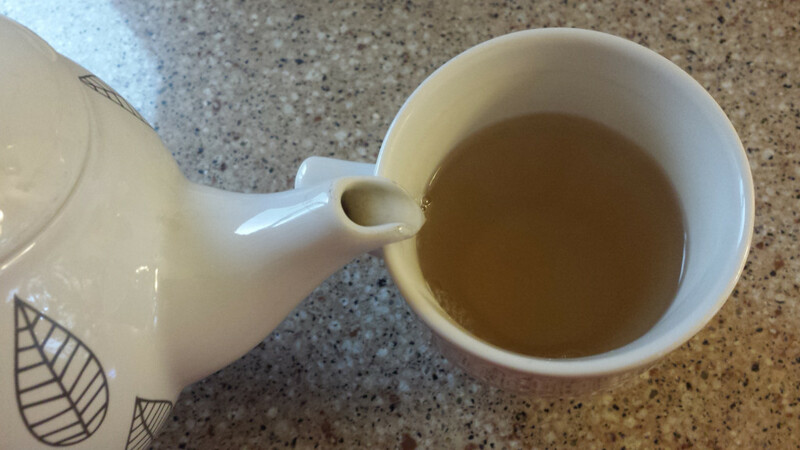 I took a heaping spoonful and steeped it in my medium-sized teapot (24 oz) for 3.5 minutes at 85°C. The resulting brew was a clear yellow-orange, nice and healthy. However, the taste of this tea wasn’t that memorable. 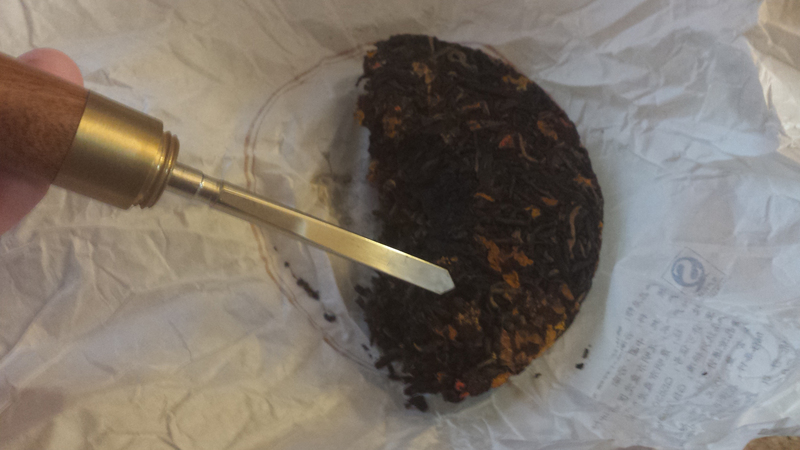 The jasmine flavour was thick, but it was a surface-level thickness, without a lot of body underneath. A lot of the time, with really good jasmine, there’s an underlying sweetness that reminds me of oranges or orange blossom, but that secondary flavour wasn’t present here. I’m going to chalk that up to there being no jasmine flowers in the blend. The green base was quite mild, which I didn’t appreciate — I think that if the base tea had a more intense flavour, it would have competed with the surface-level flavour of the jasmine and overall given it more body. You can learn more about Imperial Jasmine tea here. 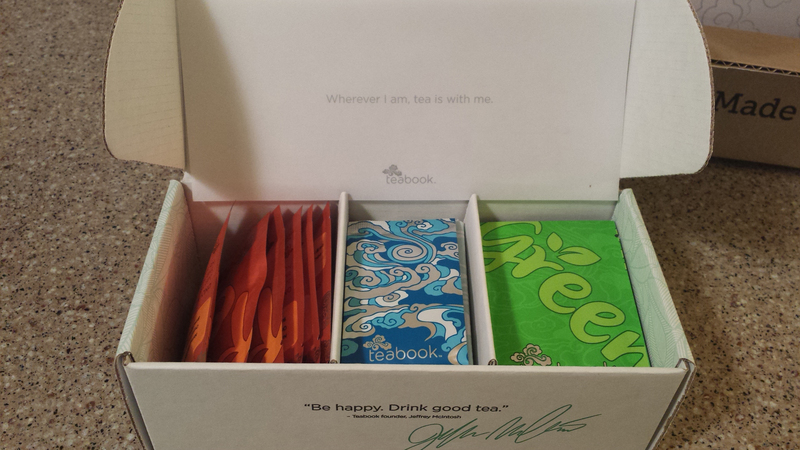 These teas look simply amazing and gorgeous! Too bad they didn’t live up to what you were hoping for!